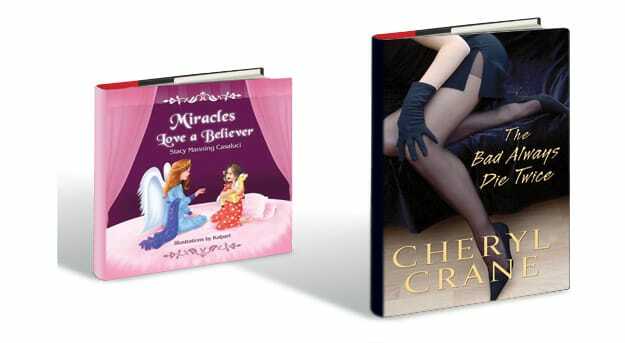 Cathy Stacy Manning Casaluci of Palm Desert has published a children’s book titled Miracles Love a Believer (Eloquent Books). The story of Princess Cirina Marie and Moondancer relays the delightful world of fantasy as the princess and her stuffed-horse-come-to-life embark on a high-flying adventure to see the world. Cheryl Crane, a Palm Springs resident working in real estate, has written the first in what she plans as a mystery series starring Realtor-turned-amateur sleuth Nikki Harper. Due out in September, The Bad Always Die Twice (Kensington Publishing) is set amid the bright lights, big egos, and Botoxed brows of Hollywood. Crane, daughter of Lana Turner, previously published (with Cliff Jahr) her autobiography, Detour: a Hollywood Story, and (with Cindy De La Hoz) an illustrated biography of her mother titled Lana: The Memories, the Myths, the Movies.